Wavefront reinforcement has been found to cause substantial increases in both air and ground vibration from both surface and underground blasting operations. Simple alterations to firing patterns can prevent wavefront reinforcement and be used to control vibration levels in many situations. 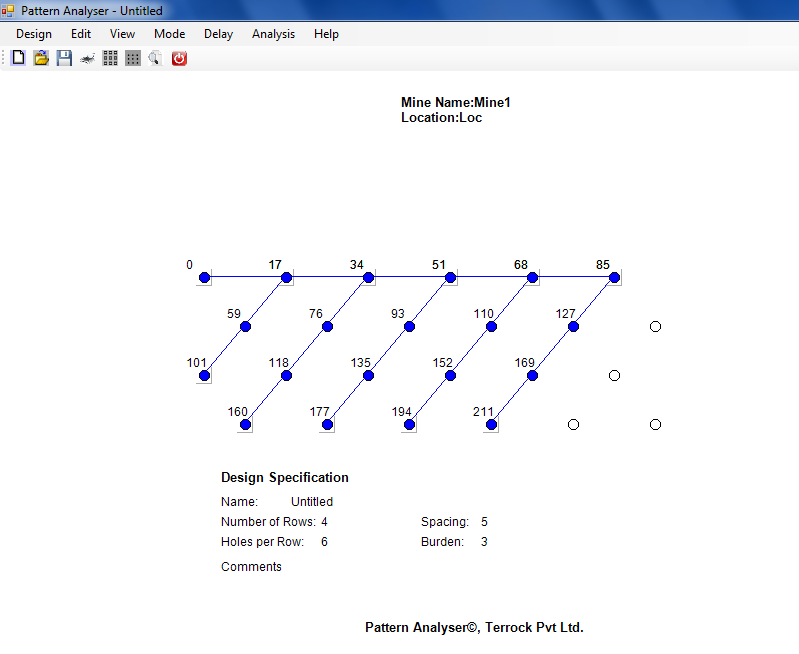 Pattern Analyzer software based on wavefront reinforcement model. The model allows for the time taken for blast vibration wavefronts to travel from each blasthole, and has been successfully used to explain the reason for directional increases in both air and ground vibration in certain situations. The model has been used to identify wavefront reinforcement due to the propagation of air vibration and ground vibrations in certain situations. 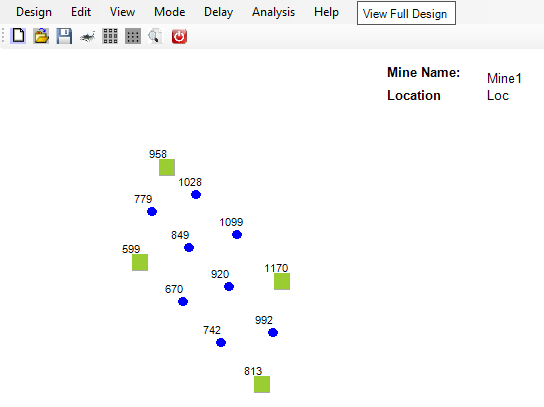 The software based on this model can help engineers to analyze blast hole timing and sequence and assist them in controlling their vibration levels. This software is property of Terrock Pvt. Ltd., Australia and is developed by Earth Resource Centre. 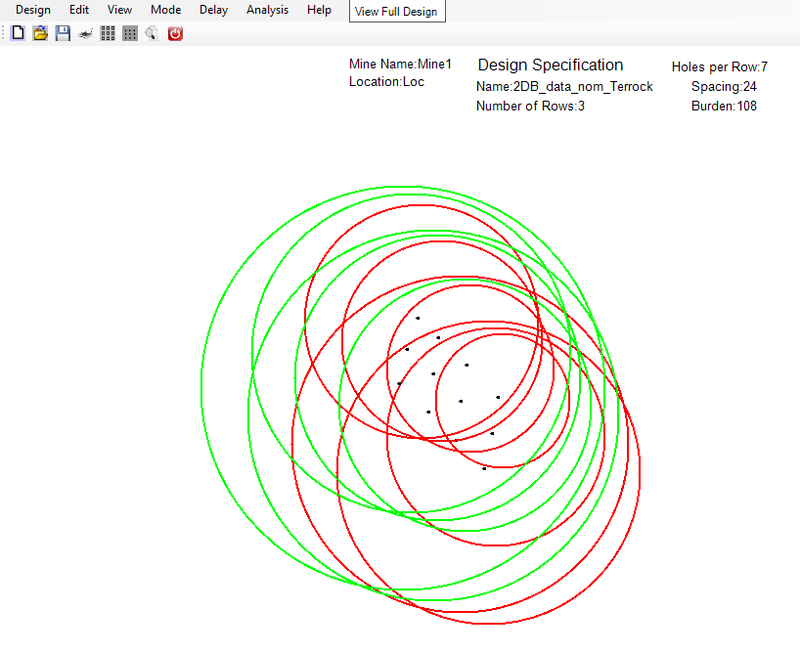 Pattern Analyser is a graphical software program for the design and editing of blast designs. It gives engineers and blasting personnel the ability to design and optimize the layout and initiation sequence of blasts. 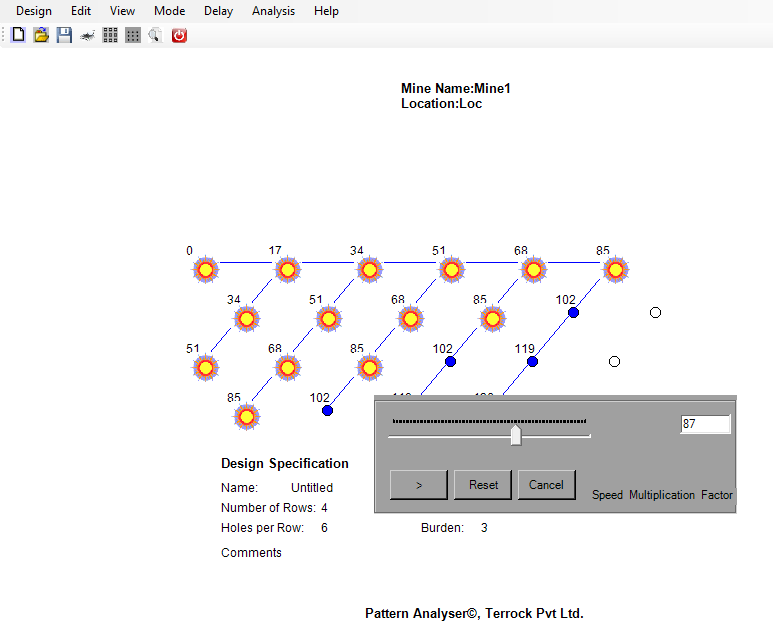 Pattern Analyser allows the designer to: Layout a pattern of Blastholes, Connect surface delays, Simulate the detonation on screen, Analyse the wavefront reinforcement, Simulate the time window, Import and export Designs, Selection of particular area form design, Save and print designs and wavefront reinforcement, Save surface delay tielines and analysis as image files.